There are two types of rental property available on Hilton Head Island. This short video will help you in your research of the properties on Hilton Head Island. Buy now and rent for later seems to be a growing trend because of the low interest rates. We have compared the different costs associated with the ownership of short and long term rental properties below. We look forward to helping you with your research on Hilton Head Island. Listed below are the areas of the Island that offer short and long term rental opportunities. Hilton Head Island’s vacation properties are located near the beach on the southern side of the Island. Short term or vacation rental properties can be found in Sea Pines, Forest Beach, Shipyard, Palmetto Dunes, Shelter Cove, Singleton, Bradley, Burkes, Folly Field and Port Royal Village. 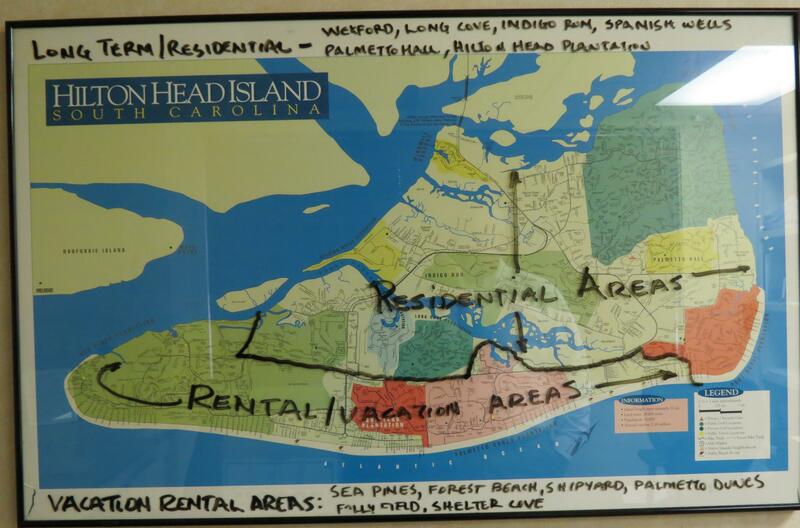 These areas are located on or close to the beaches of Hilton Head Island and allow short term rentals. On the leeward side of Hilton Head is where the majority of residential and long term are located. These areas include Club Course Area of Sea Pines, Leamington Residential, Wexford, Long Cove, Port Royal, Hilton Head Plantation, Indigo Run, Spanish Wells, Windmill Harbor, Palmetto Hall and off plantation. All of these areas have written into their covenants a minimum number of months that these properties can be rented for which precludes any type of short term or vacation rental. This example cost analysis(Short vs. Long Term Rental on Hilton Head Island) will help you as you research the Hilton Head real estate market. Rental demand is high and we have sold homes in the residential neighborhoods on Hilton Head Island recently and had them rented prior to closing. If you would like to research this idea or short term offers, please call on us or send an email. Thank you.